During the past couple of years, acclaimed award-winning Elton John has been busy playing outdoor shows in various arenas, including cricket grounds, football grounds and heritage sites. By some strange quirk of fate, the "Goodbye Yellow Brick Road" creator also found himself entertaining the crowds in Ibiza at the 123 Rocktronic, which just goes to show that his audience can be found far and wide. Even in Leeds. Next year, Reg Dwight's nom-de-plume will be performing an almighty show at the brand new entertainment complex in the North East, Leeds' very own swish new Arena, which opens later in the summer. Despite being the fourth big-name announcement for the venue, Elton/Reg is, at time of going to press, the first person confirmed to grace the stage on 4th September 2013, a week ahead of Kaiser Chiefs, and way ahead of comedian Micky Flanagan and man-band JLS. 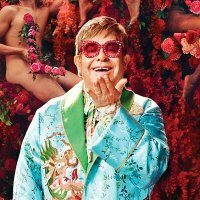 With a 12,000 capacity, the seated stadium should provide a stunning spectacle and you can bet Elton will be doing the same with his hits and, perhaps, new material. Tickets for the exclusive show will go on sale from us at 9am on Friday 7th December with prices ranging from £65 to £100. For that you can expect a show typically lasting a couple of hours.